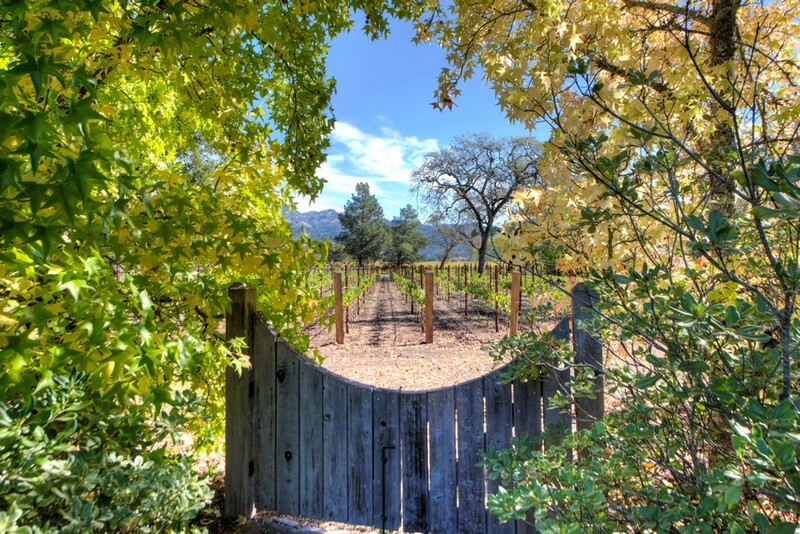 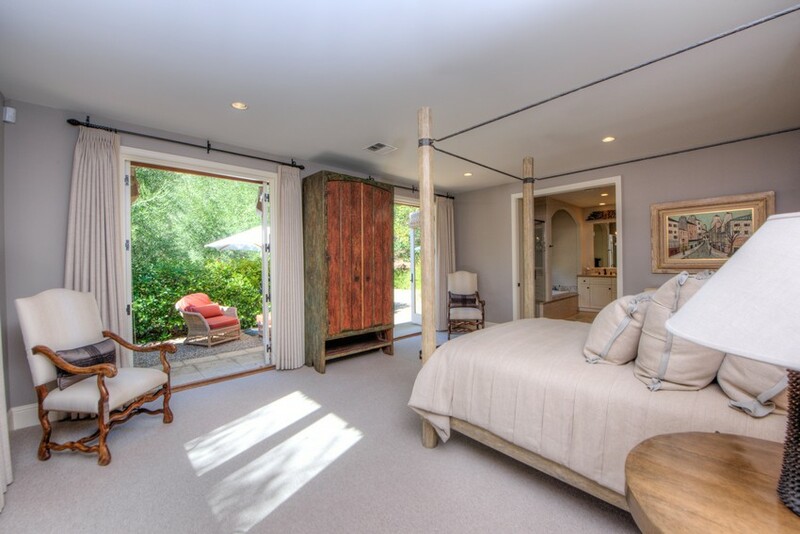 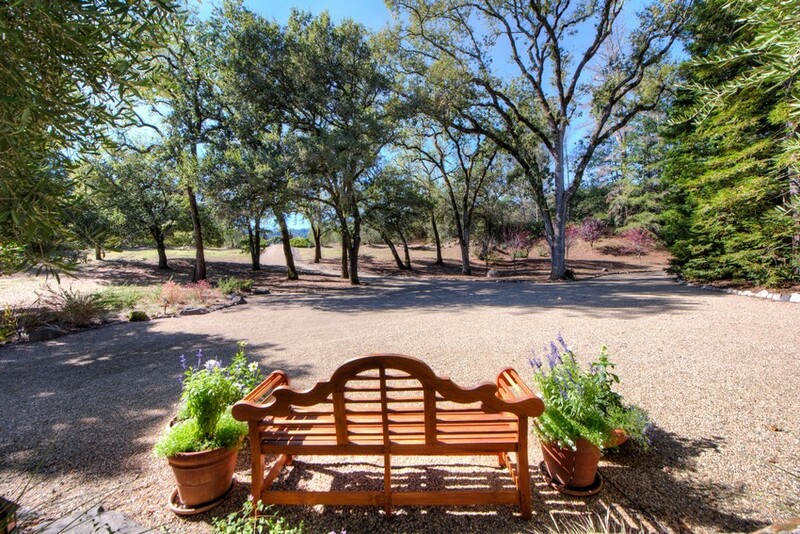 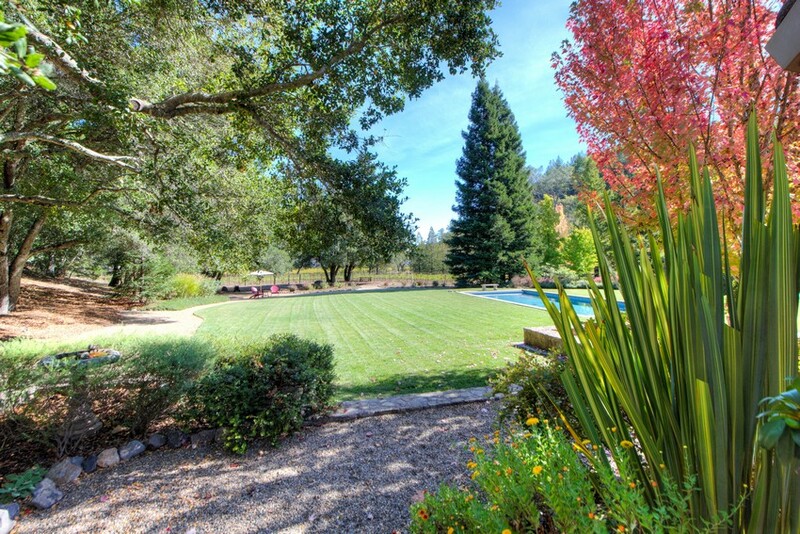 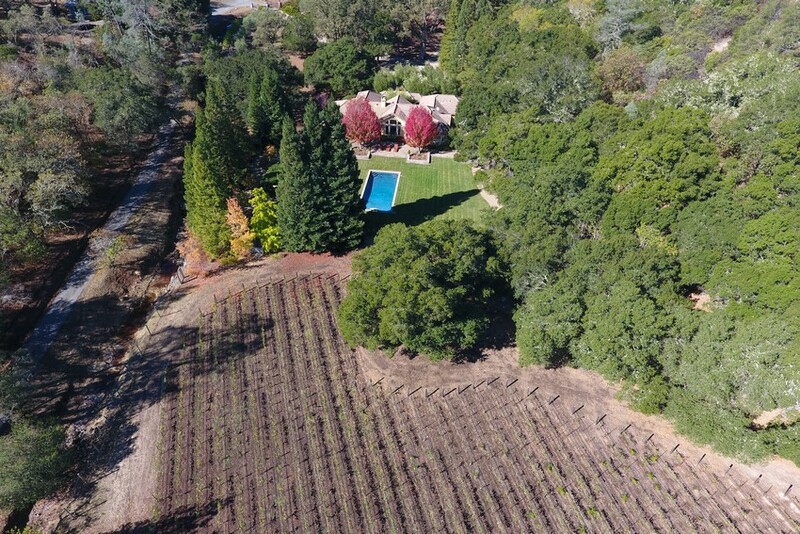 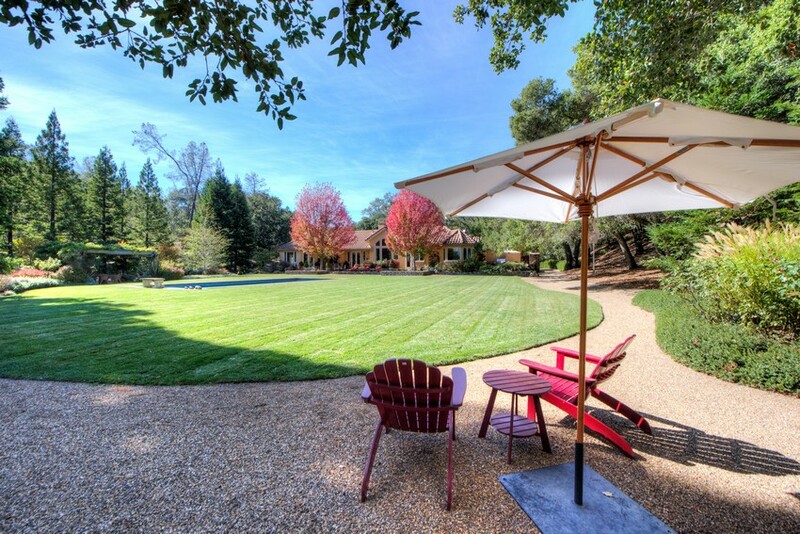 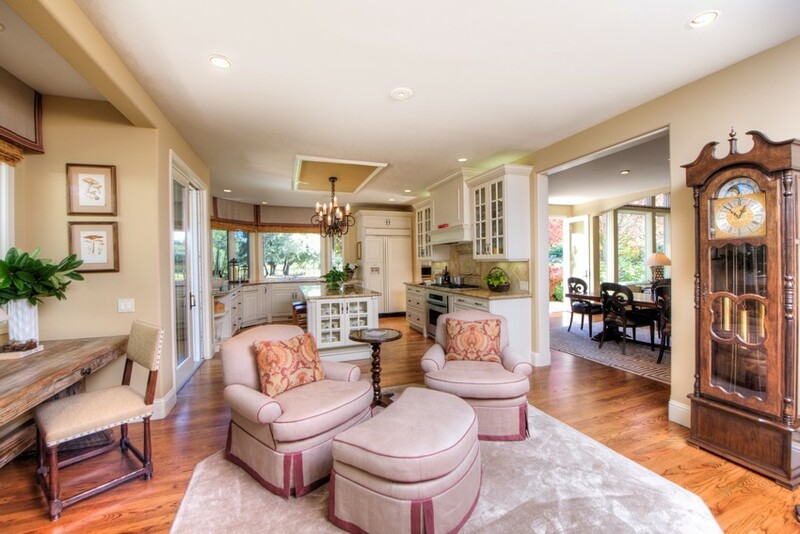 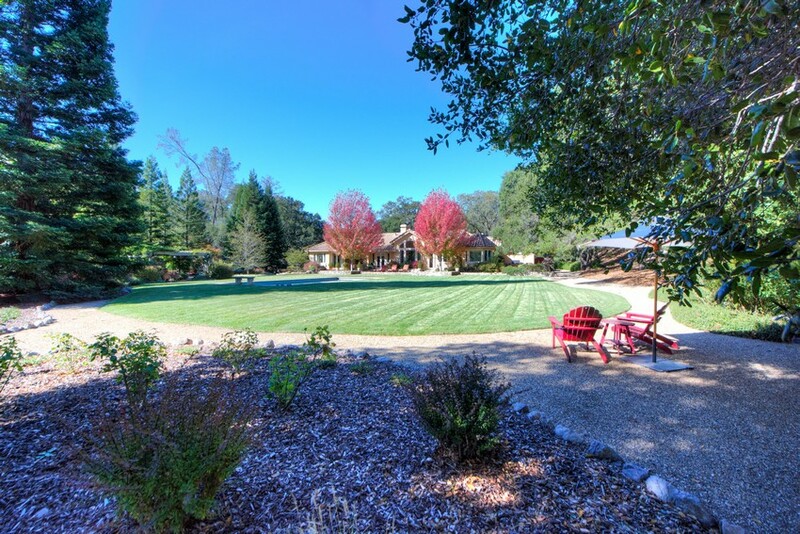 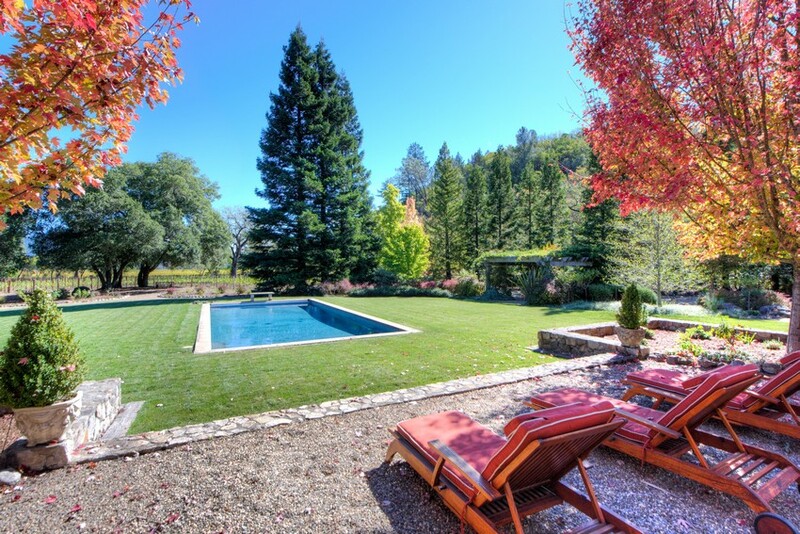 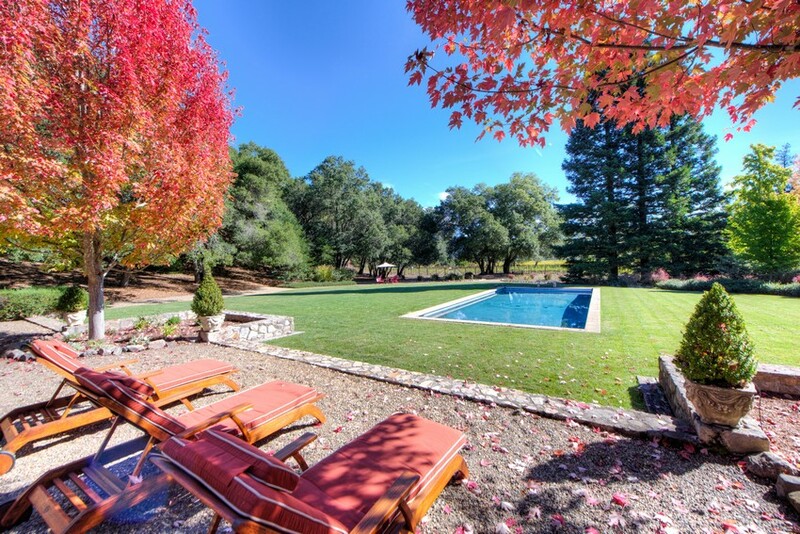 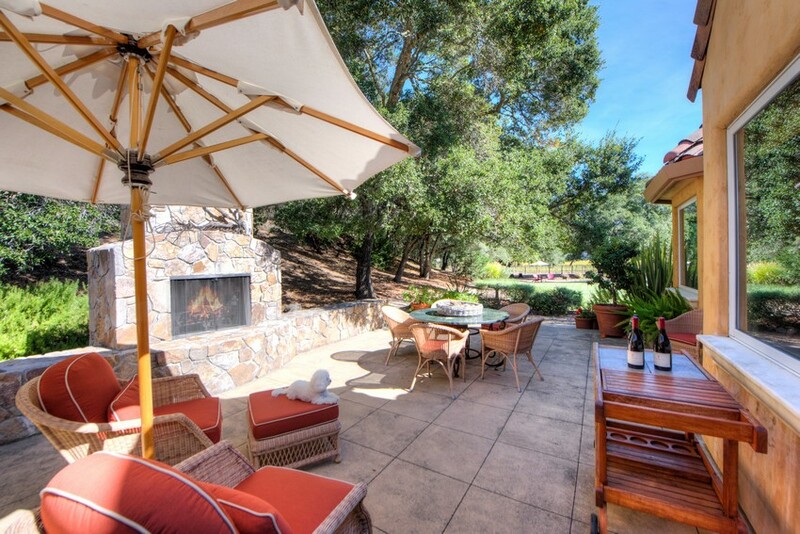 Tucked away in a world of its own minutes from downtown Calistoga, 1212 Bennett Lane, a fabulous vineyard property and residence, offers a private retreat in every essence. 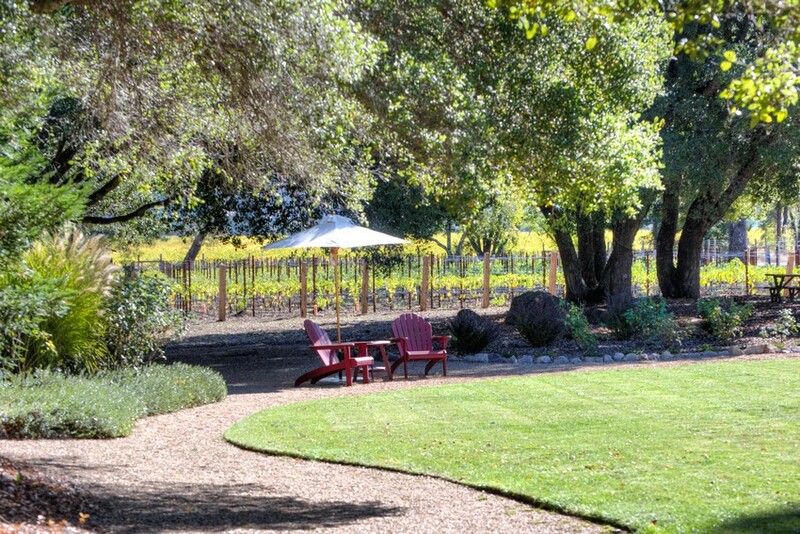 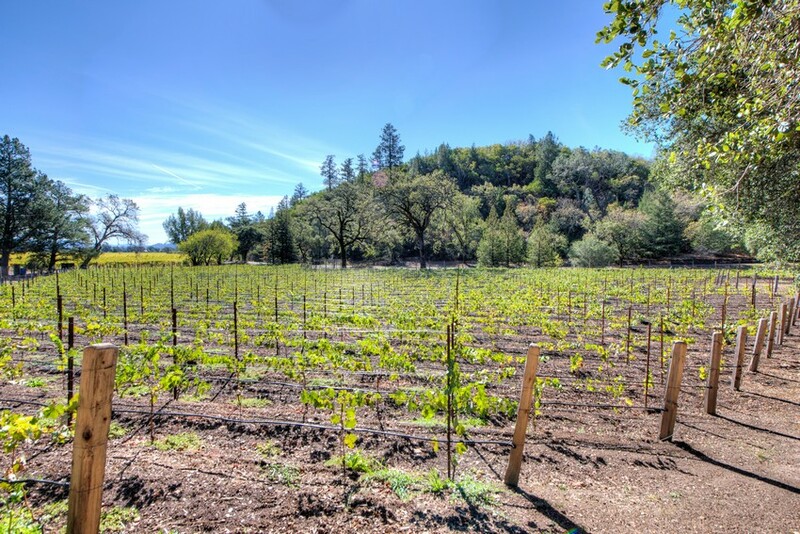 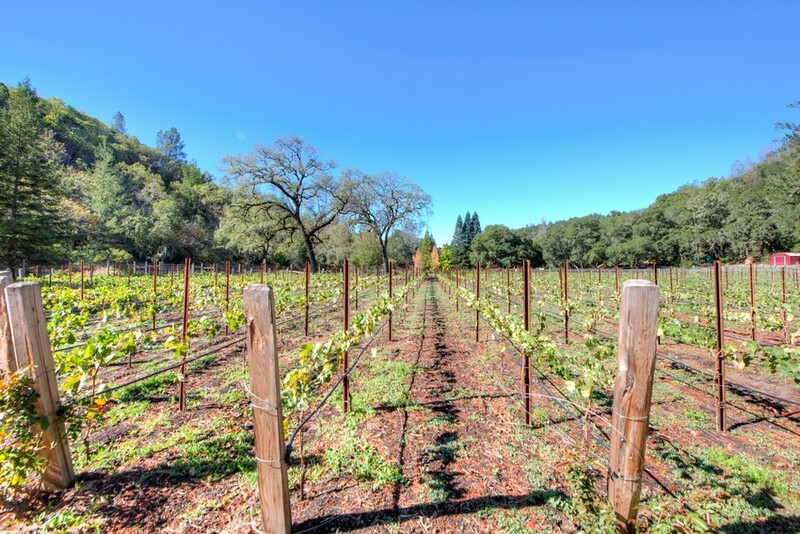 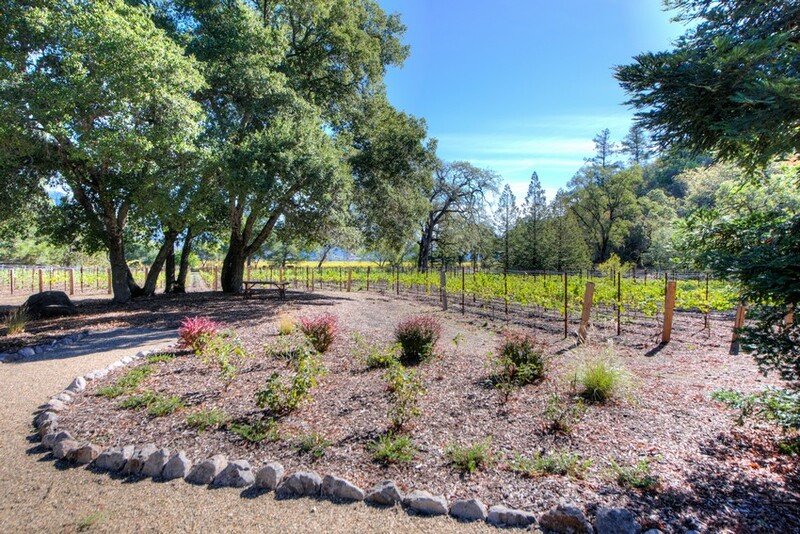 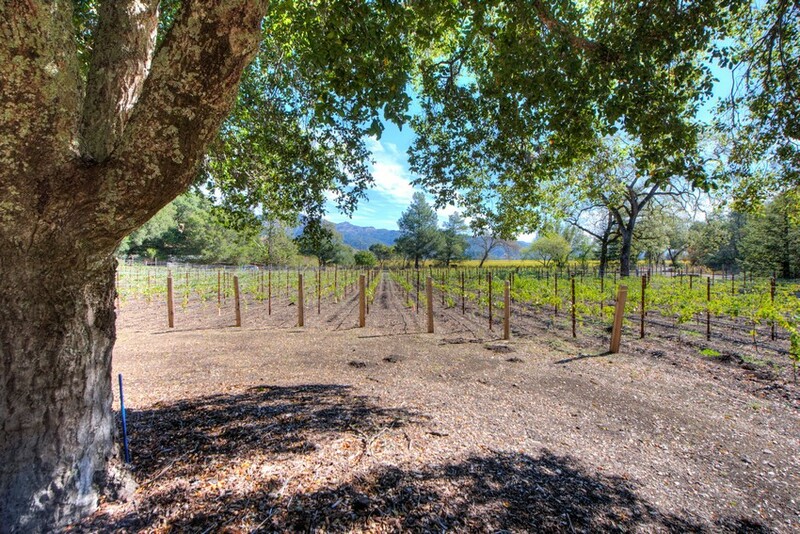 Located on a rarely-found lot of approximately seven acres, 1212 Bennett Lane features a 1+- acre of Cabernet Franc vines at its southern, sun-soaked edge. 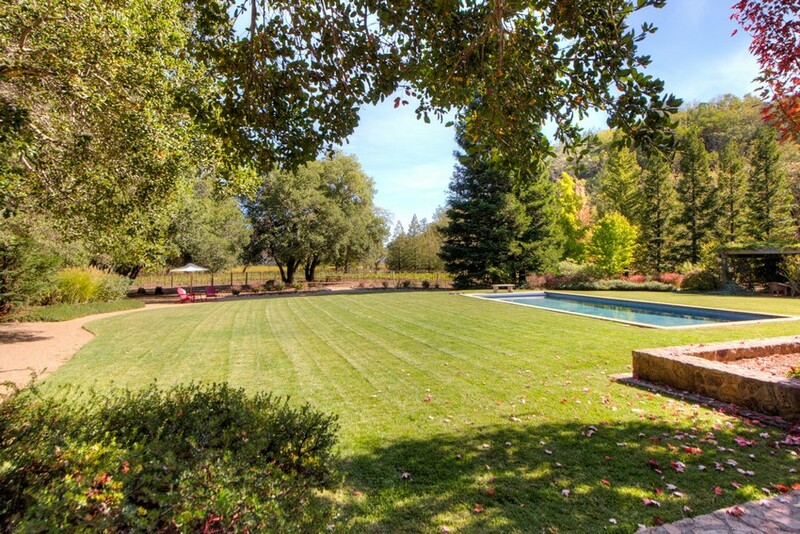 The 3,676+- sq. 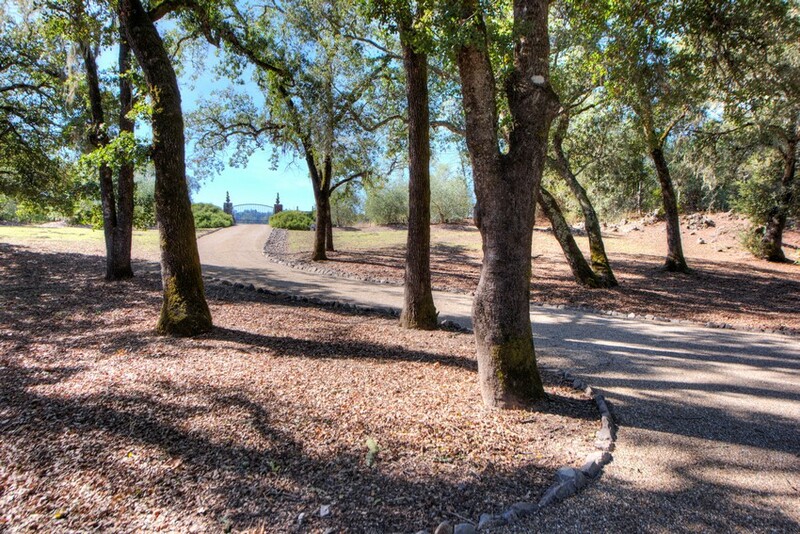 ft. residence is approached by a wooden bridge and stone gate opening to a gravel drive and round, shaded motor court surrounded by fecund gardens enveloping the residence. 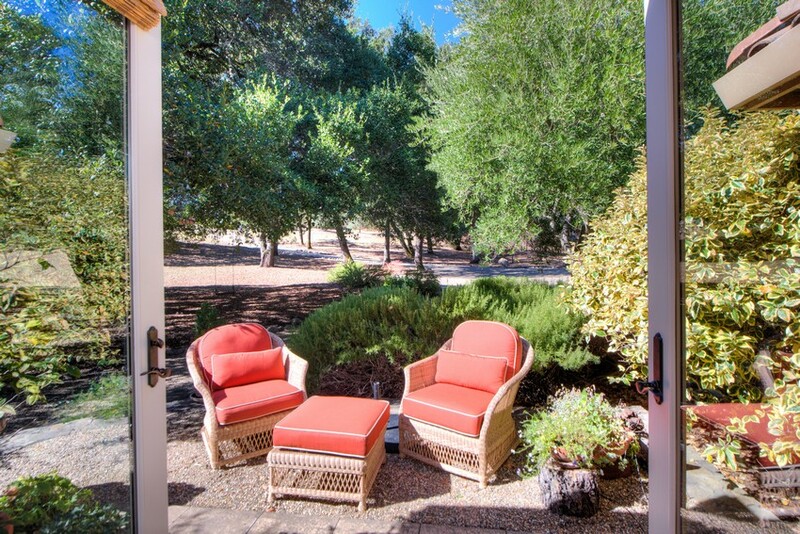 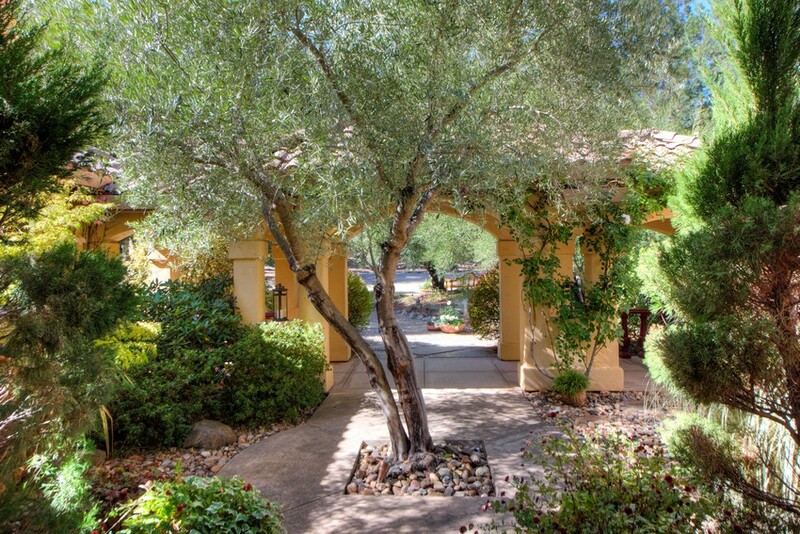 A mature olive grove and central path lead to the home’s courtyard entrance and grand foyer approached through double doors. 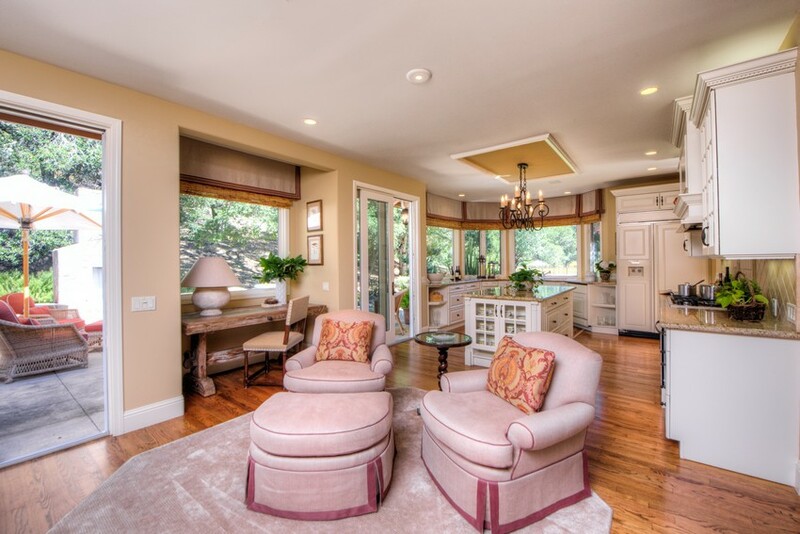 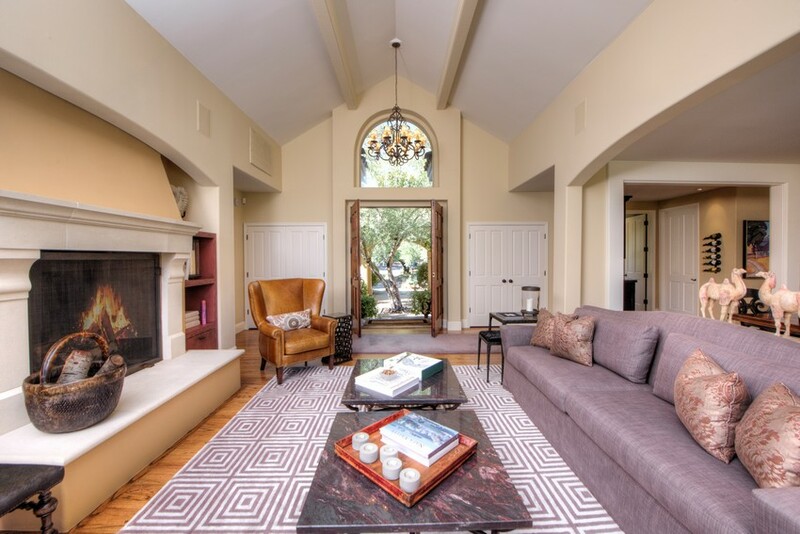 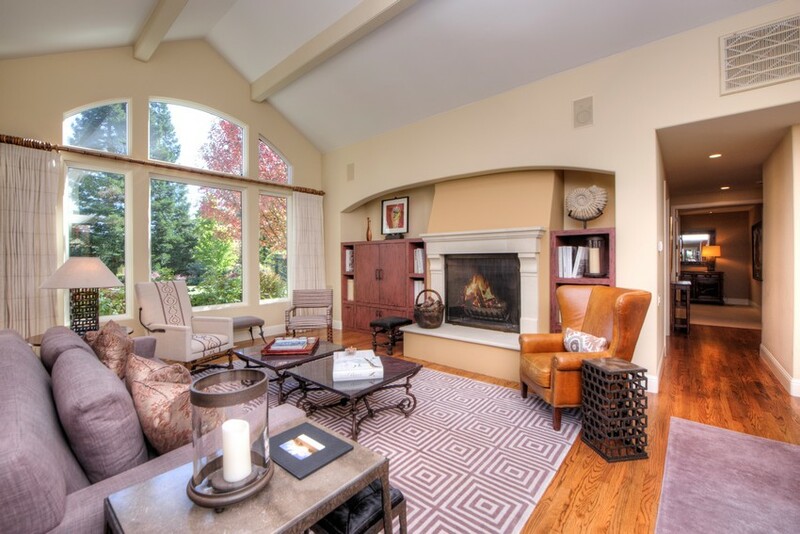 Upon entering 1212 Bennett Lane, the immediate great room is captivating with its cathedral ceiling, wood-burning fireplace and stately picture windows framing perfectly the lush yard, foliage and vineyard beyond. 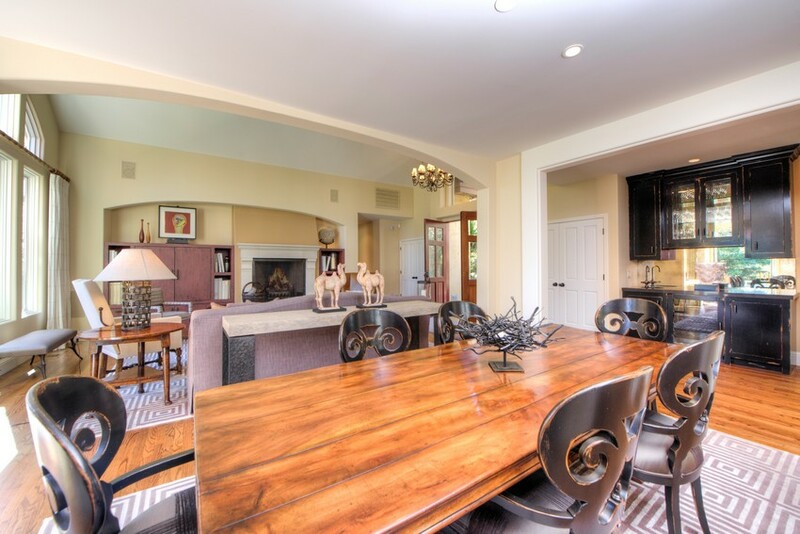 The home’s grandeur continues to unfold; a gourmet chef’s kitchen and dining area are fitted with top appliances and verdant views, a library features cherry wood built-ins and opens directly to the yard through French doors, and two en-suite bedrooms offer luxuriant amenities, spa-like baths and serene privacy. 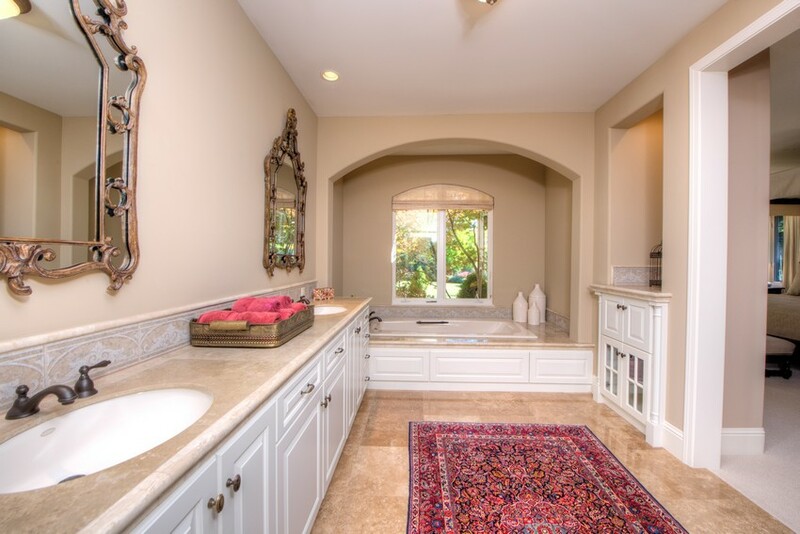 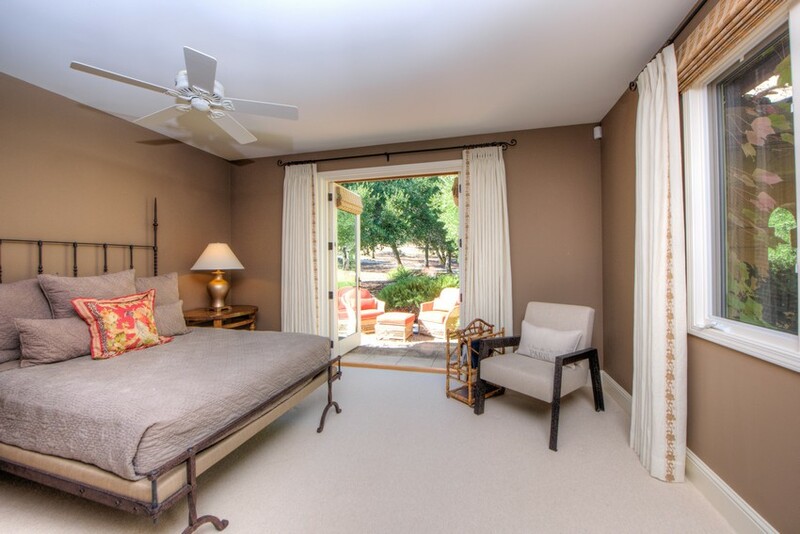 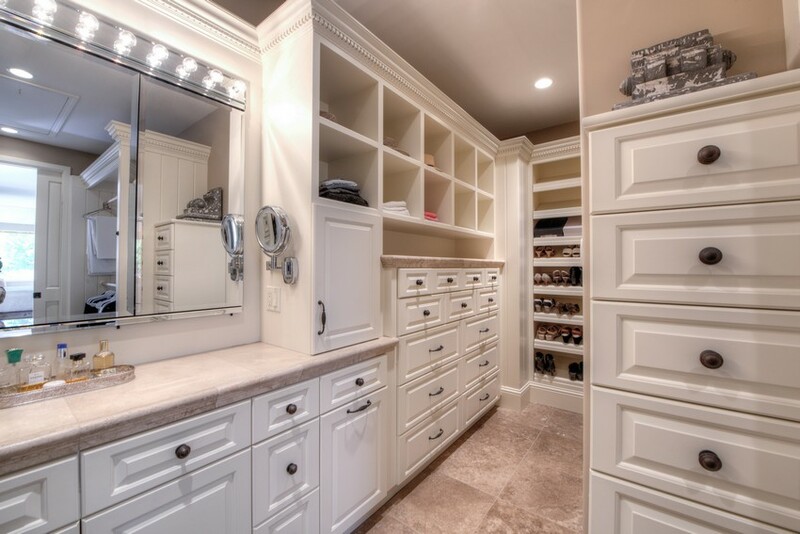 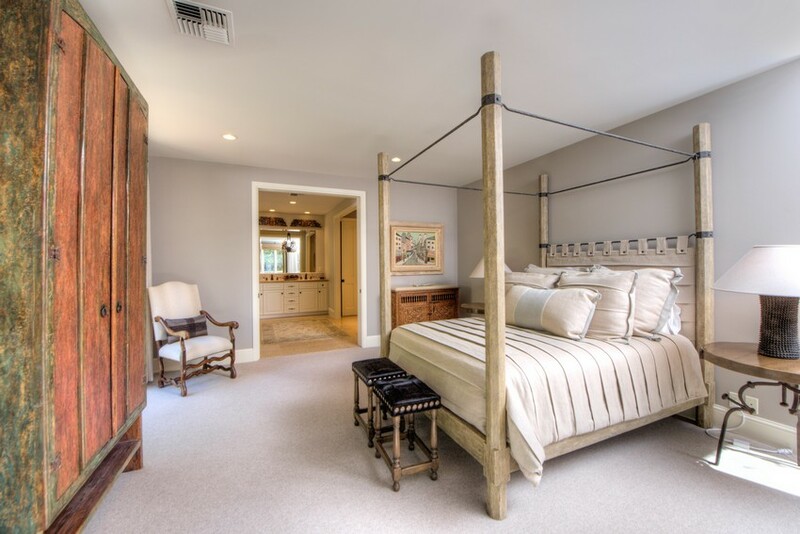 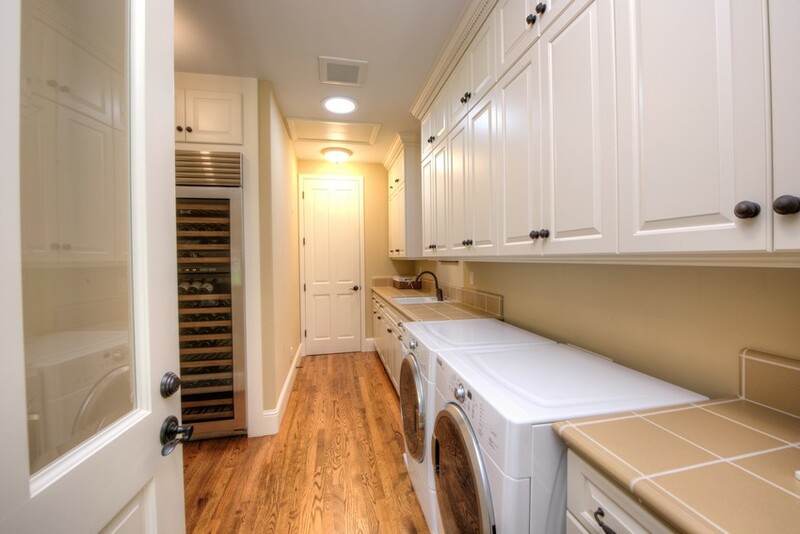 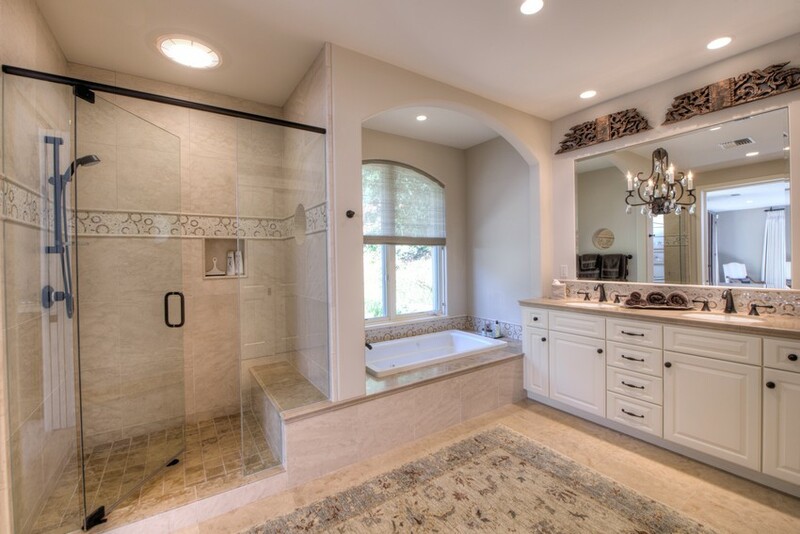 The master suite, complete with double-door entrance and sitting area, has a generous walk-in closet with built in wardrobes and a master bathroom with dual vanities, jetted tub, walk-in shower and travertine floors with radiant heating. 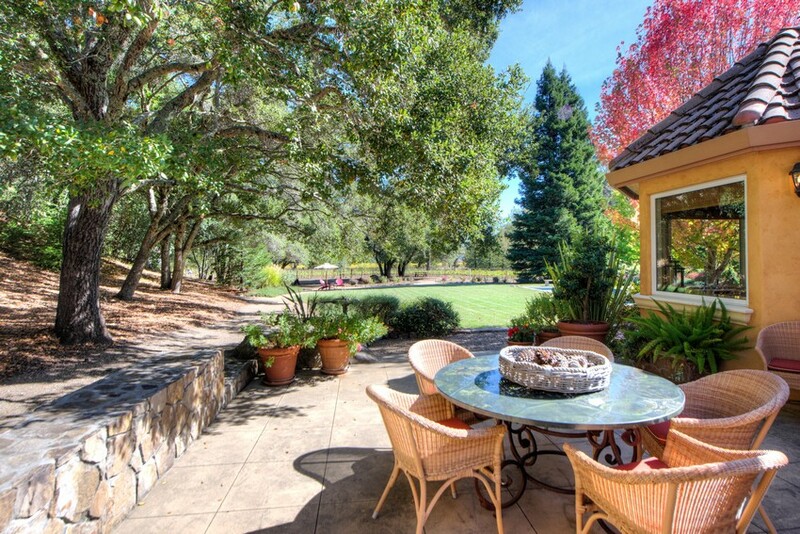 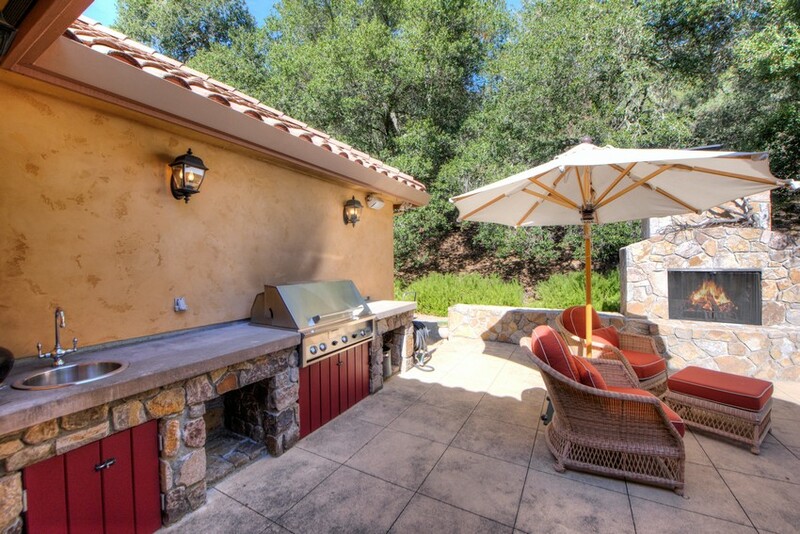 An expansive backyard encourages indoor/outdoor living year-round. 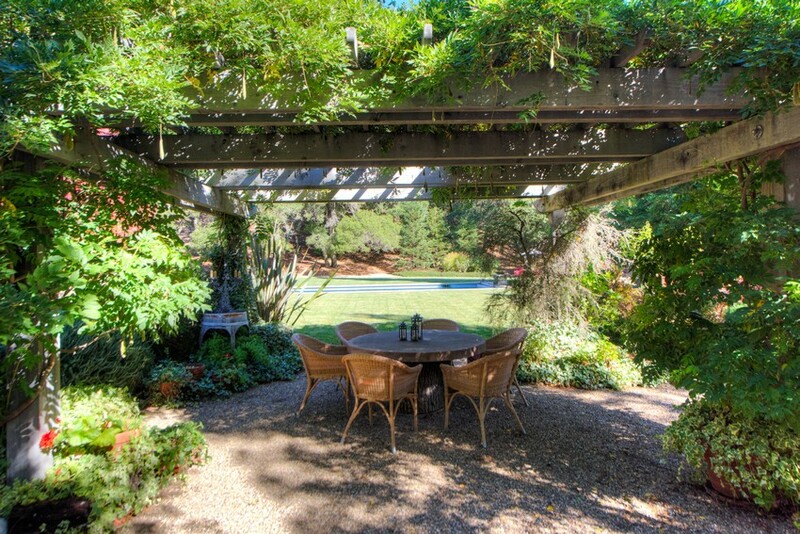 A sprawling lawn surrounds the central swimming pool while a wisteria-covered trellis offers a repose for al fresco dining located next to a built in-barbeque and stone-faced, wood burning fireplace. 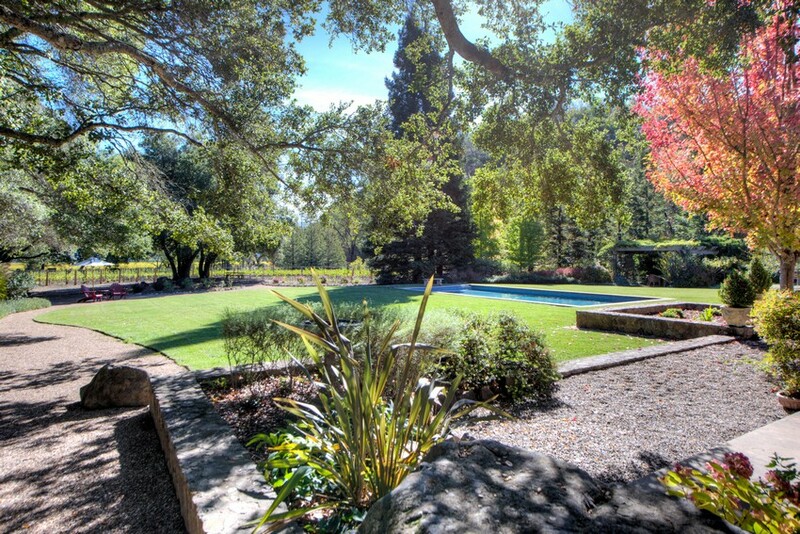 Rock-lined pathways meander through the grounds, inviting one to walk among the gardens, sitting areas and out to the vines. 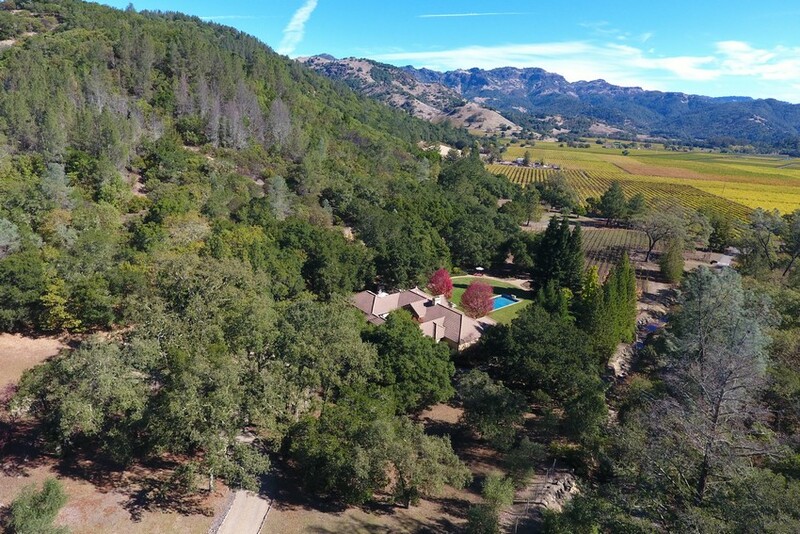 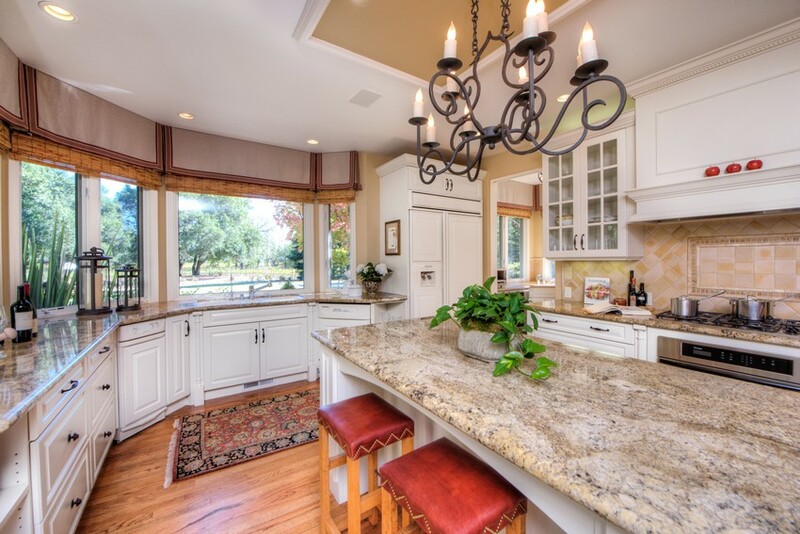 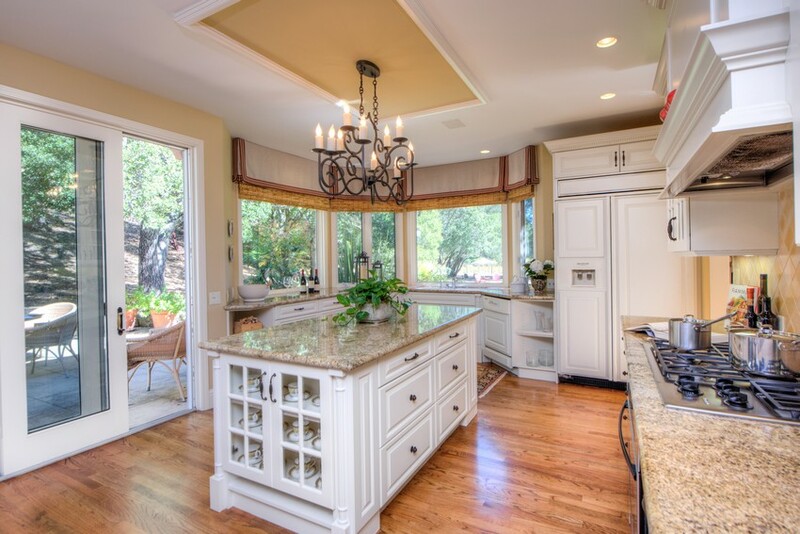 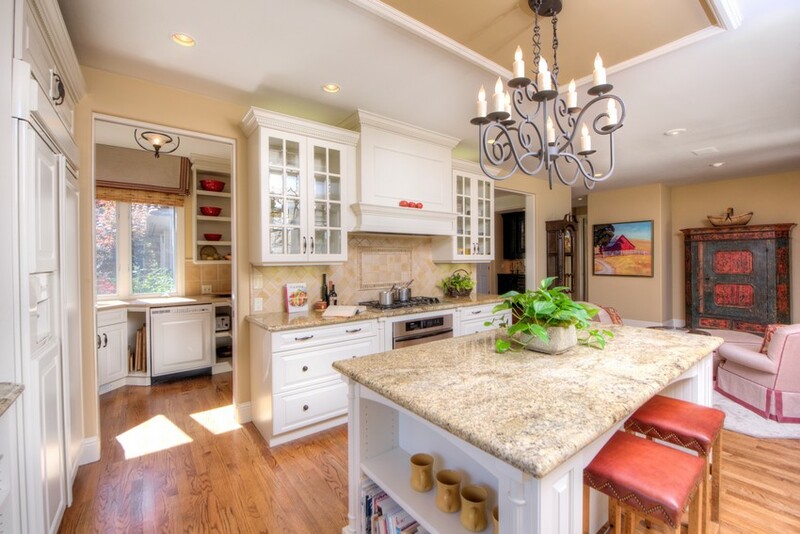 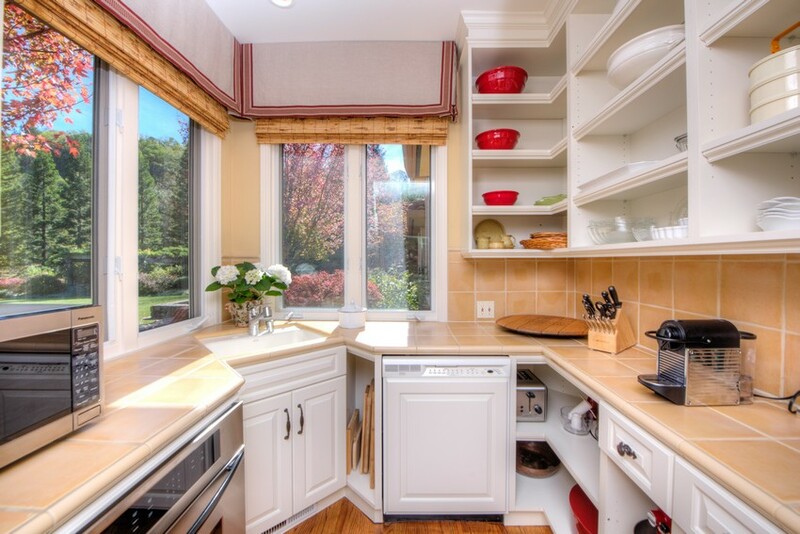 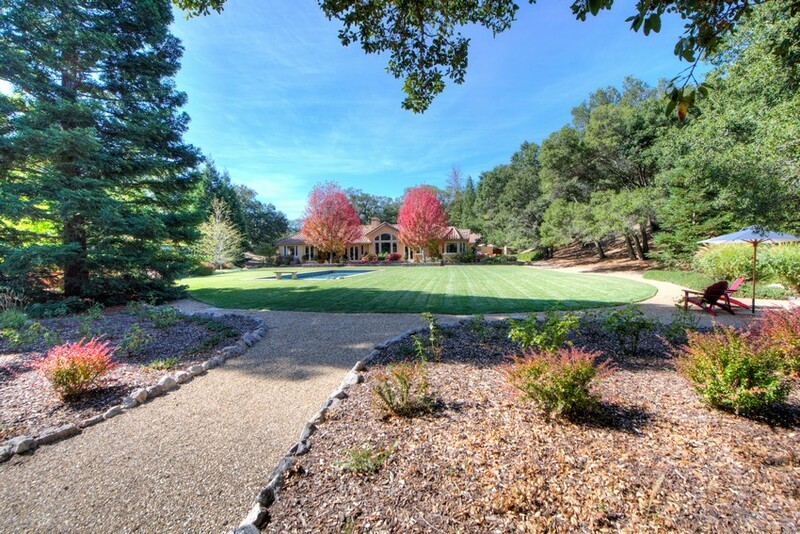 A three-car garage, ample storage space, two private wells and a seven-zone Lutron lighting system further add to this rare slice of paradise in wine country at 1212 Bennett Lane.